Our 4 modern Amada Vipros Series punches range in press capacity from 22 to 33 tons, giving us the ability to match the machine to the job. We can accommodate sheets as large as 50â€ x 157â€ and as thick as .25â€ on our punches while still maintaining .001â€ (.005â€) repeatability. 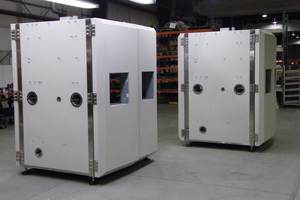 All of our punching turrets are hydraulic and CNC controlled which produce the reliability and networkability needed to maintain high standards of quality and performance. 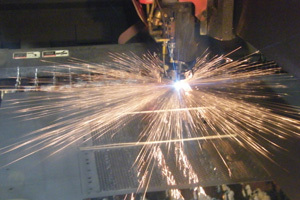 Star Precision laser department is one of the most technologically advanced in the industry. Our lasers operate with amazing accuracy and repeatability and our large table machines give us the versatility to efficiently run diverse lot sizes. 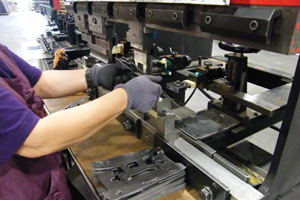 Star has the full resources to meet your complete forming needs. Our 11-press brakes range from 2.5â€™to 14â€™ (12â€™) in bed length and from 22 to 250 (220) tons of capacity. Such a large line-up of machines allows for Star Precision to strategically align machines in manufacturing cells. 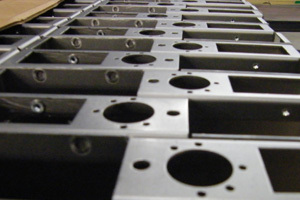 After your products have been fabricated and machined, Star Precision has the in-house ability to provide you with a turnkey mechanical assembly. 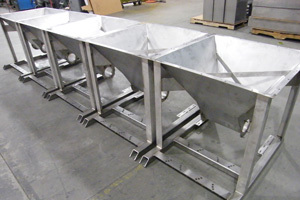 Combining all of Star’s core capabilities, we are well set up to handle the complete assembly and finishing of your specific product on-site.